Product code: W554 Categories: Sold Items, Sold Watches. 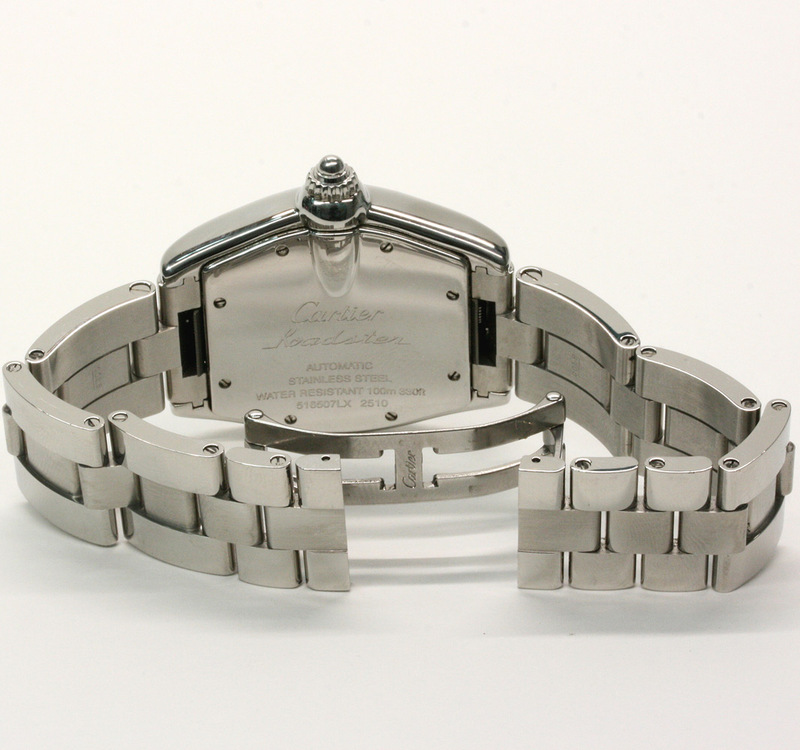 Here is one of the best looking Cartier watches ever produced, the Cartier Roadster model 2510. Made in stainless steel with such an iconic and eye catching tonneau shaped case, the case measures 44mm with the crown and has such an great looking and elegant dial with the black Roman numerals, date window set against the silver coloured dial. Fitted on the stainless steel Cartier band, the Cartier Roadster is one watch that looks as good in the boardroom as it does on the weekend and is incredibly comfortable to wear all the time. Inside the fully jewelled automatic Cartier movement has just come back from a full service and of course runs perfect and comes with our twelve month warranty. With its full box and papers, this Cartier Roadster will never go out of fashion or style and will have you admiring this on your wrist all the time.